Product information "Steadygrip G for GoPro (8x battery - UK Version)"
The Typhoon Steadygrip G is a recording solution on the ground, designed to stabilise your GoPro® and also to expand it with real-time image transmission. The system features the SteadyGrip grip adapter – which has tilt control for precisely controlling camera angles – and the GB203 3-axis self-stabilising Gimbal, which allows still and fluid recordings. With its ergonomic design, the Typhoon Steadygrip G can accommodate mobile devices up to a size of 6.4 inches. The camera pitch controller enables precise camera angle control and is conveniently placed where the thumb naturally sits on the ground handle for easy control on the go. * GoPro® is a registered trademark of GoPro Corporation in the United States and other countries. 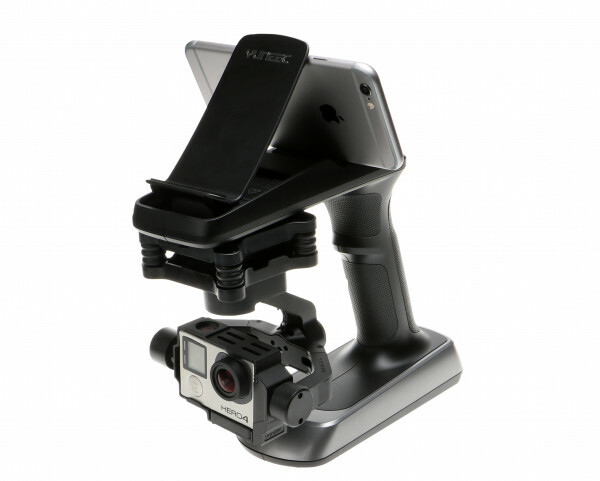 Related Links "Steadygrip G for GoPro (8x battery - UK Version)"